A scarf is the perfect way to accessorise an outfit all year round and should never be underestimated from the true fashion statement that it can be. Scarves can turn a good outfit into a stunning style and are powerful in their ability to provide any wearer with a striking identity. They can be used as a signature style element or to express personal style! So, why would you opt against the scarf when there are so many reasons and ways to accessorise with one! Scarves come in a variety of different colours so you can always find one that will match your outfit if you are looking for a subtle and delicate appearance. On the contrary, if you wish to make a fashion statement you can also find brightly coloured scarves that will bring a vibrant touch to a simple outfit, for example, hot-pink over a black suit. In summer, the thin material of certain cotton, silk or polyester scarves can actually be cooling and refreshing on your skin. In winter wool scarves can provide you with extra warmth, a splash of cheer and a bit of fashion on miserable windy days! Scarves can be used instead of coats or turtlenecks, hats or belts. They are completely multi-functional and should be a must-have in your wardrobe! Whilst it may be easy to just wrap a scarf around your neck you can always opt to be a little more daring by using it in different ways. Turn your scarf into a piece of clothing by draping it around your shoulders like a cape, and then either leave it free or secure it with a belt so that it doubles up as a jacket. Use a thinner, lighter scarf as a belt itself, by twisting it and tying it around your middle; or turn it into a sarong by simply wrapping it around your waist like a skirt before visiting the beach. You can even use a scarf to accessorise your hair! Use a thin scarf as a turban to protect your hair from the wind and rays; or drape it over your head and shoulders during winter showers instead of using a hat. For a cute bohemian appearance, you could use a small scarf as a headband or as a bobble to hold up a ponytail or bun. There is no wrong or right way to accessorise with a scarf. This simple but elegant piece of material can provide you with endless opportunities to create your own fashion identity and is both practical and gorgeous. 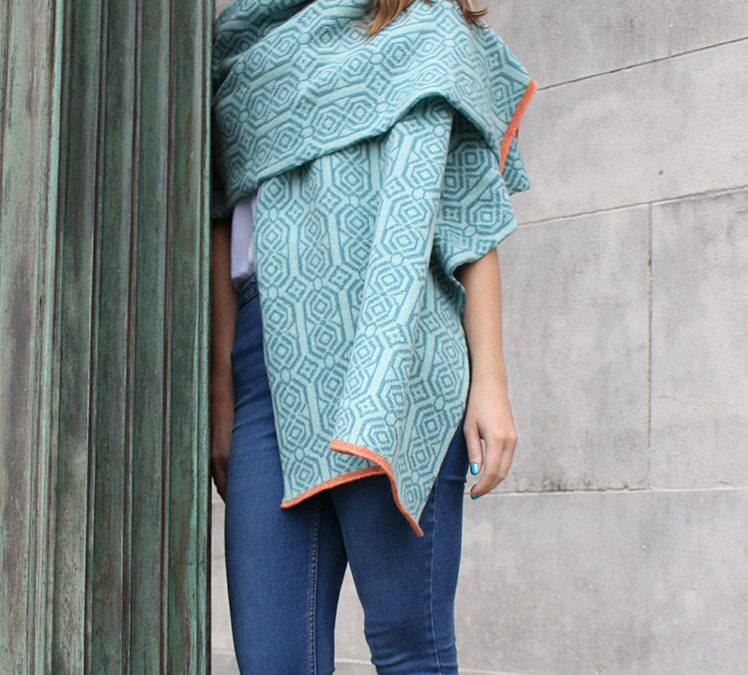 For a variety of beautiful scarves available to purchase today, visit Katie Victoria Knitted Textile Design. Here you can find a large collection of handmade patterned and coloured scarves, alongside other products that will add beauty and elegance to your wardrobe and your home.